My first BodyTalk session has had very pleasing results for me and I've been feeling so much more my old self these last two weeks. I'm a lot more relaxed and constructive in my mental attitude, and seem to be more easily able to tell myself to stop having negative thoughts when they do arrive. I feel I am constructively using my out-of-work time and so far I have been able to plan and achieve actions better than before my first session. Stress and anxiety continues at work and both make me tired at day's end; but it is more controlled than previously, I think.Physically I am glad to report improvement in bowel and fluid activities, my posture is straighter, my worrisome left foot much easier and less painful, asthma and sinus have been improved. I feel I've retained these improvements over the time since I saw you. Really I am very excited about all this and I have an instinctive belief that this is the kid of treatment I need to heal my body and mind. I am more balanced and constructive and hopeful about the future. Thanks, Vyara! Quantum healing approach for long-lasting health and wellness of your whole mind and body! Our bodies are created with a built-in mechanism to self-heal. If we cut ourselves, the body immediately sets up a process to start healing the wound. The healing occurs at several levels - physical, emotional, and mental. Ideally, this should be taking place all the time and the body should be repairing itself constantly without our conscious involvement. Unfortunately, due to constant physical and emotional stresses and traumas, our self-healing mechanism becomes compromised overtime. 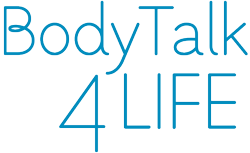 The BodyTalk System, a form of integrative medicine based on quantum healing principles, is designed to restore your bodymind's innate ability to helf-heal. We do this by taking you out of Fight-Flight and bringing your body into a state of harmony, rest and repair. The BodyTalk System facilitates communication with the subcobscious part of your bodymind by using neuromuscular feedback. 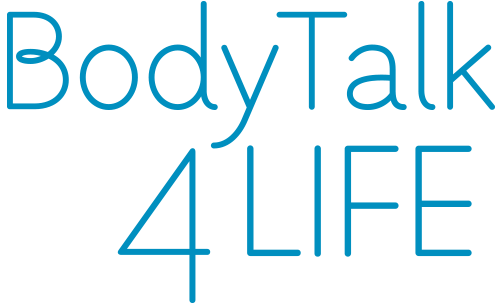 The BodyTalk practitioner follows a comprehensive protocol of questions and obtains Yes/No answers through muscle testing. This allows for establishing what balances your body needs, and in which order of priority they need to be performed. Once it has been established what balances are needed, they are performed as distant healing. Clinical results have shown that when the communications systems of the body have been re-established and the bodymind complex synchronized, both mind and body are capable of self-healing at a deep and lasting level. Thus, instead of diagnosing and treating symptoms, BodyTalk activates the power of the body's innate self-healing mechanism, which leads to optimal holistic health and wellness. Most clients notice a greater sense of well-being and relaxation after the treatment. They feel more at peace with themselves and often report remarkable improvements in their physical and mental health including sleeping better, having more energy, and experiencing less physical and emotional pain.